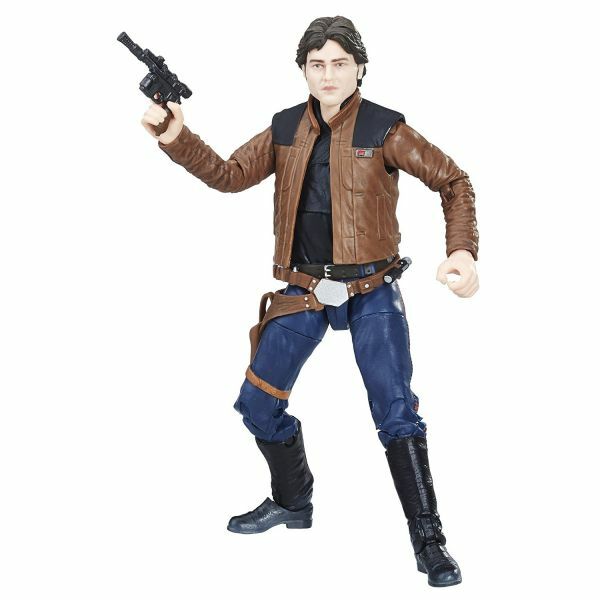 Produktinformationen "Star Wars The Black Series Han Solo (Solo) Actionfigur"
Re-create the biggest battles and missions of the Star Wars saga with these 6" figures from The Black Series! With exquisite features and articulated movement, the figures in this series embody the quality and realism that Star Wars devotees love. Each figure is crafted to display true-to-story detail and comes with an accurately decorated accessory. Act out favorite battles or create brand new ones! Build up an epic collection with all the figures and vehicles from The Black Series. Series 201802 includes Han Solo (Solo), Tarkin, Range Trooper, Lando (Solo), Death Star Trooper, and the Jawa. Series 201803 includes Darth Vader, Rey, DJ (Canto Bright), Han Solo (Solo), Qi'ra Corellia (Solo), Lando (Solo), and 4-LOM. Window box packaging. Weiterführende Links zu "Star Wars The Black Series Han Solo (Solo) Actionfigur"
Kundenbewertungen für "Star Wars The Black Series Han Solo (Solo) Actionfigur"